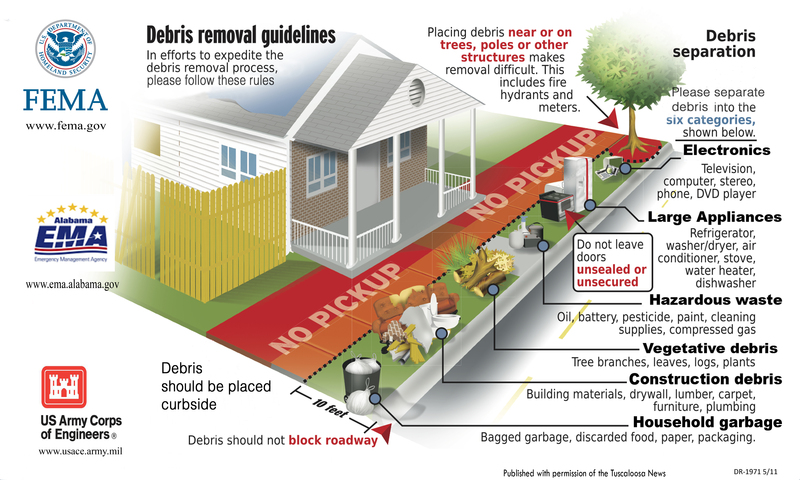 The following FEMA/USACE Debris Removal Guideline may be helpful for those that have major clean up as a result of Hurricane Matthew. If you click on the image above it will take you to a printable picture of the flyer. It looks best if you print it in landscape format. This entry was posted in Communications, Current Concerns, Environment, Safety. Bookmark the permalink.